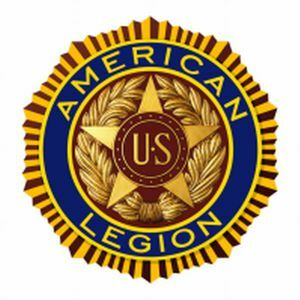 Greetings fellow Legion members from Dunn County, including Menomonie, Colfax, Boyceville, Downing, Wheeler, Elk Mound, Connorsville, Ridgeland and Eau Galle. This letter is a reminder of our scheduled Dunn County Council meeting on Tuesday, January 14th at 7:00 p.m. We will be meeting at the Menomonie Veterans Center [Old D.A.V. Center] on Highways 25/County Road BB at 7:00 p.m. This mailing should reach you a week prior to the actual County Council Meeting on January 14th. I’ve enclosed updates from the last D.E.C. District 10 Meeting in Gilmanton, November Post Mailing and related sources. I am glad to share that both Menomonie Post 32 and Dunn County now have websites at: www.menomonielegionpost32.org. 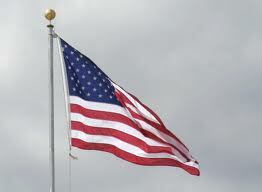 Once you get to the Menomonie Post 32 website, there are links on the left side of the page to connect to Dunn County, District 10 and the State American Legion websites. This is another resource and type of communication, especially concerning “outreach” to our younger veterans. There will be information on meeting times, minutes and related information for timely communications with our Dunn County Posts and members. We met in June [membership card distribution] and again in September [membership updates, raffle tickets and distribution of “Post Packets”] prior to our upcoming January 14th, 2014 meeting. I submitted the raffle tickets I had at the D.E.C. Meeting in Gilmanton on October 27th. I’ve not heard the results or outcomes of the “District 10 Raffle.” However, based on discussion and voting at the meeting, it was decided to not have a District 10 Raffle next year. We did vote to raise dues to 50 cents per person in 2014 to somewhat offset revenue lost from raffle sales. Stayed tuned for more details in the near future! Your recent post mailing included information on the Mid-Winter Conference. The conference will be held January 17-19th at the Ho-Chunk Hotel and Convention Center in Baraboo, WI. Registration forms were included in your post mailing from the department. If you are planning on attending, there will be a Mid-Winter Conference Blood Drive on Saturday, January 18th from 10:00 a.m. to 3:00 p.m. at the Convention Center. Some of you may of heard of the V.A. Dental Insurance Program. This is a three-year, national pilot program to assess the feasibility of providing premium based dental insurance plan to eligible individuals. I’ll bring some information but you can get your own information thru your County Veterans Service Office, State W.D.V.A./Federal V.A. websites and veterans service organizations. The next District 10 D.E.C. Meeting is scheduled for Sunday, February 4th at 1:00 p.m. in the Osseo Post 324 building. The District 10 Spring Conference will be held April 26-27th at Alma. I have some housing information that I will bring to the meeting but registration information will be sent in the near future. I’m looking forward to seeing all of you at the Dunn County Council meeting on Tuesday, January 14th at 7:00 p.m. Please bring your materials/packets from the mailing to the meeting!